Mobile applications have come to fill in every part and Every Walk of our life and Lifestyle. Starting from documenting medical records of a newborn child to finding a date in this open world, there are mobile applications that fulfill the human needs both physical utilitarian and emotional. This unprecedented growth of mobile applications has to be attributed to the way in which mobile phones have started to being consumed. The challenge is that the two opposing mobile platforms, iOS and Android, compete with each other. This make sure that the end customer does not get anything short of the best and the manufacturers are constantly pushed to create something better that will change the benchmark. The awesomeness of a mobile platform is completely contingent upon the applications that are available for that platform. From a mobile application developers perspective, a mobile application has to be wholesomely delightful in this crowded space of mobile applications. It starts right from the technology, the speed of network communication, the user interface and experience and even simple things like the colour schemes and the shape and design language of the icons used in a mobile application. 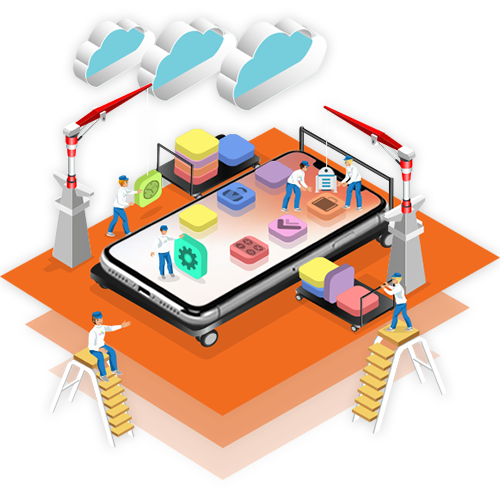 Claritaz brings you a team of experienced, energetic and empathetic mobile developers who bring you complete mobile app development solutions. Beit a Greenfield project of developing a mobile application right from the scratch or augmenting an existing mobile application with features that keep up with the times, we have the expertise to execute all of it. Our deep understanding of Technology, the wants of a normal mobile user and the design language that helps us give you better outputs In user interface and experience make us complete solution providers for mobile application development. All the utility is now handy, literally! There is an app for everything. 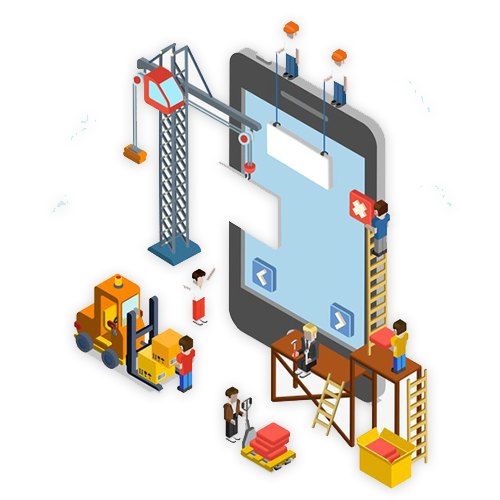 We help create intuitive and interesting mobile applications that will augment the utility of your business. Without exaggeration command Android is the operating system that covers most of the smartphones in the world today. Backed up by the power of Google, Android brings a lot of versatility usability and above everything, flexibility in the usage of smartphones. What makes Android distinct is the availability of advanced number of applications on the play Store. Developing an Android application is surely a big leap for your business. The Android mobile application development team at Claritaz has the required expertise in developing Android applications. All applications are designed to be intuitive, easy to use, right, adaptable to any screen size, and above everything, secure. We take care of the intricate elements of design, usability and the technical aspects like server communication and analytics to give you a very Holistic Android mobile application that will delight you with the reference and your users with the experience. IOS and the iPhone revolutionized the phone industry forever. What was thought to be just a communication device over voice has transformed into a multifaceted smart device that is capable of doing almost anything in the world of internet. Developing and iOS application requires a very good understanding of the philosophy of Apple its design language and the general profile of the users who will be using your iOS application. Claritaz is proud to have an in-house iOS application development team that offers the best iOS development services in Chennai. All applications are compliant with the requirements of apple and are optimised for awesome performance on the iPhones. We understand that there is a lot more universal performance parameter that governs the iPhones comparative to Android which is manufactured by different kinds of manufacturers. Our expertise in design and the elite language that we carry in the elements of the app make it a delight for the iPhone user to interact with it not only giving them a lot of joy but also giving your business the essential exposure and brand. Ionic is a completely open source software development kit for mobile app development and the best part about it is that it can create hybrid mobile applications. Ionic is built on Angular JS and it provides the essential tools to develop applications using web technologies like CSS and HTML. Ionic mobile app development is a front-end framework that makes sure that the user interface of your mobile application is flawless and intuitive. This would mean that at the native style of your application is maintained across all platforms. Since ionic mobile application development uses Angular JS instead of jQuery, the performance of the application rests on the hardware acceleration which makes the mobile application faster and effective! Our client-base that is spread across multiple countries including but not limited to USA, UK, Australia and the Middle East is a resounding testimony to the experience, the expertise and the achievements that we can be proud of in the mobile application space. Should you have a requirement, irrespective of the platform, the end user and the technology, you can always get in touch with us so that you walk out with a robust, intuitive and a technologically advanced mobile application.